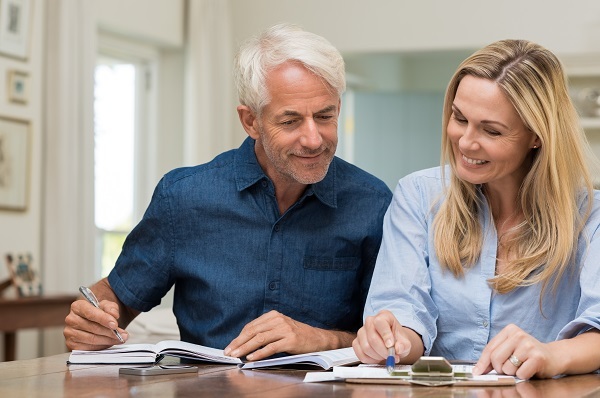 As you approach retirement and the later stages of your life, you may be considering your legacy and how you will pass your assets on to your loved ones. Perhaps you want to fund your grandchildren’s education or help your grown children get started on their retirement nest egg. Maybe you have assets that hold sentimental value that you would like to distribute to specific relatives. To achieve these goals, it’s helpful to have an estate plan in place. Your estate plan should prioritize your objectives and offer a strategy. It should also identify risks and challenges, such as taxes, end-of-life costs and even probate expenses. One risk you may want to consider is debt. Many retirees try to minimize debt before they end their career. However, that’s not always possible. Unexpected costs always arise, even in retirement. You could have credit card debt, mortgages, medical bills and more. It’s possible that your debt could impact the amount of assets that are distributed to your heirs. When you pass away, many of your assets will likely pass through a process called probate. That’s the legal process for settling an estate, and it often includes notifying heirs, liquidating assets, distributing inheritances and other tasks. One step in probate is paying final debts. Your creditors could actually file liens and judgments against your estate, tying up your assets and restricting the distribution of your funds. Eliminate debt while you can. Take steps to create liquidity for your estate. You also may want to utilize tools that offer some protection against creditor action. Many of these tools are beneficiary-designated products such as life insurance, annuities, IRAs and trusts. These types of assets flow directly to the named beneficiaries without going through probate. You may want to maximize the assets in these accounts so your heirs can receive their distributions quickly, without waiting for your executor to settle outstanding debts. Ready to protect your loved ones? Let’s talk about it. Contact us today at Spicer Wealth. We can help you analyze your needs and create a strategy. Let’s connect soon and start the conversation. The views expressed here are not those of GF Investment Services (GFIS).GF Investment Services has no affiliation with the news agencies represented here and the views expressed do not necessarily reflect the views of GFIS. GFIS make no representations or warranties about the accuracy, reliability, completeness or timeliness of the content and do not recommend or endorse any specific information contained therein. Investment Advisory Services offered through Spicer Wealth Management, an Ohio Registered Investment Advisor. Insurance services offered through Seniors Financial Services. Licensed Insurance Professional.